Last night I was putting the twins to bed and they were putting me through the wringer. I don’t know about other moms, but bedtime is a particularly difficult time for me to hold on to patience. For one thing, all the “nice” has been leaking out of me all day, and by 8 p.m. it is ALL GONE. I often tell the kids, at eight o’clock, Nice Mommy is gone and Mean Mommy comes out. So please try to be in bed before then. For your own safety. So it was past eight, and one twin was repeatedly jumping on the bed (and jumping on the dresser, and jumping on his sister) and the other one was running around naked with her PJ’s on her head instead of her body, and I was losing patience FAST. 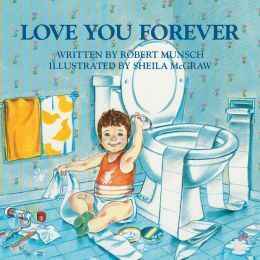 Love You Forever by Robert Munsch. I dare ANY mother to get to the end of reading this story to a child snuggled in her lap with dry eyes. It KILLS me every time. Okay. Maybe Nice Mommy can stay around a little while longer. 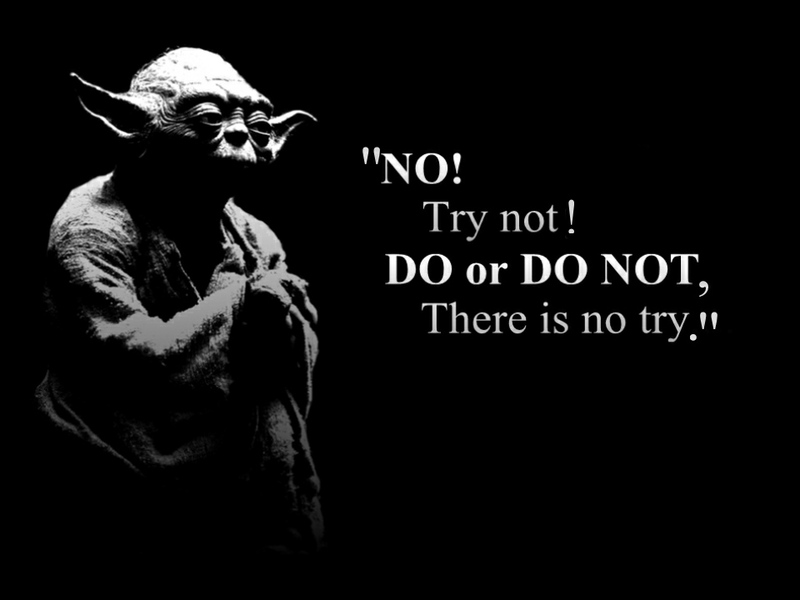 Well Yoda, I beg to differ. Sometimes, especially as a mom, all you CAN do is try. I tried to have a telephone conversation while all the kids were home on break. I tried to fix my hair nicely on Sunday morning. I tried to find my teenage daughter’s orthodontic retainer in the outside dumpster.